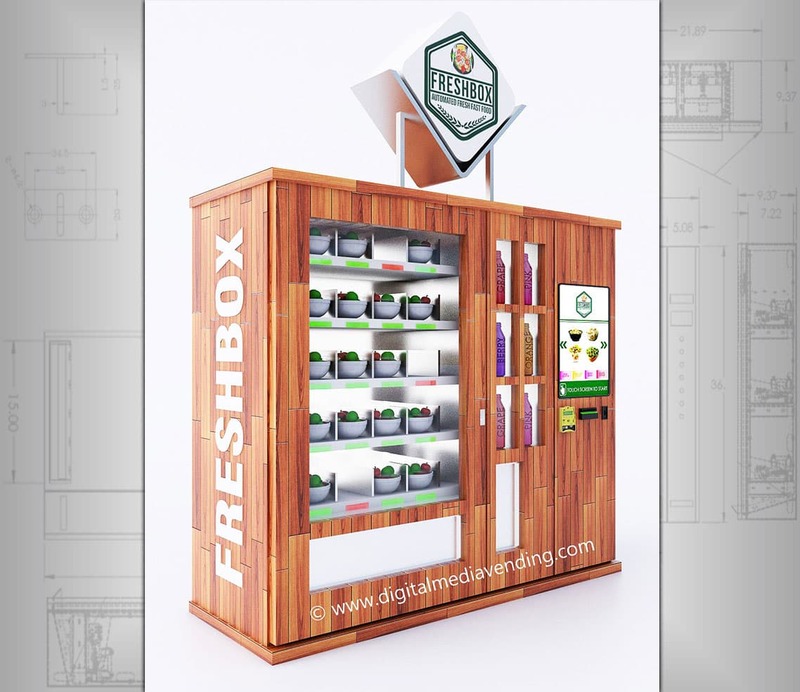 We can take your custom vending machine project from idea to a tangible reality. 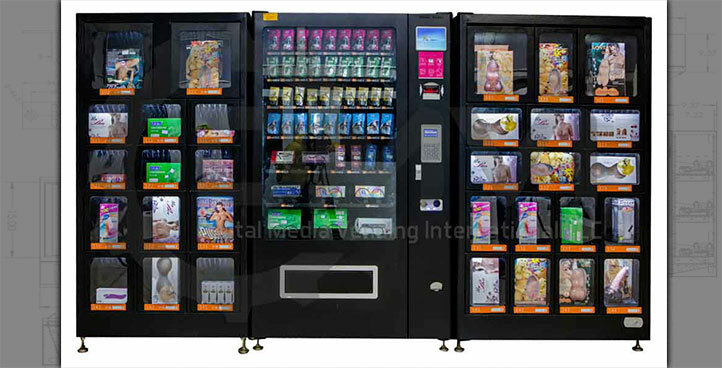 Digital Media Vending International LLC is an experienced custom vending machine design & manufacturing company that specializes in affordable design solutions. 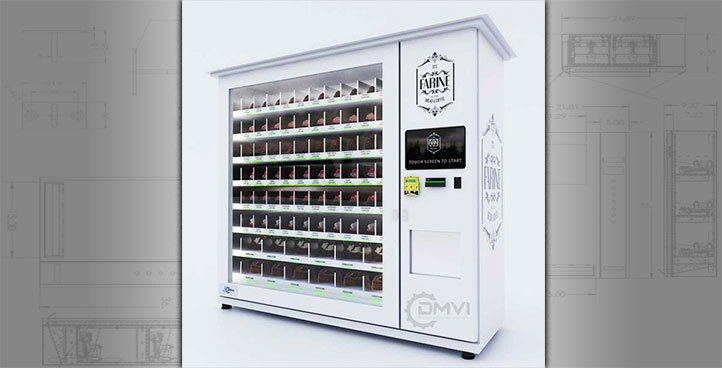 Bring us your custom vending machine idea for single product miniature or small vending machines, small wall mounted vending machines or floor standing vending machines. 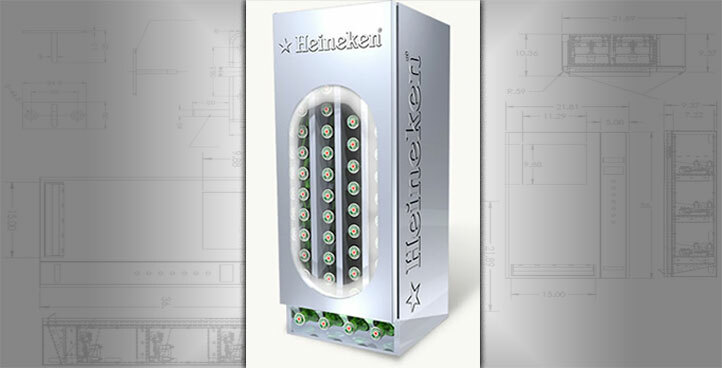 Do you have an idea for a custom vending machine design that you’ve never seen before? Or maybe you’ve seen something unique and would like to design something similar? 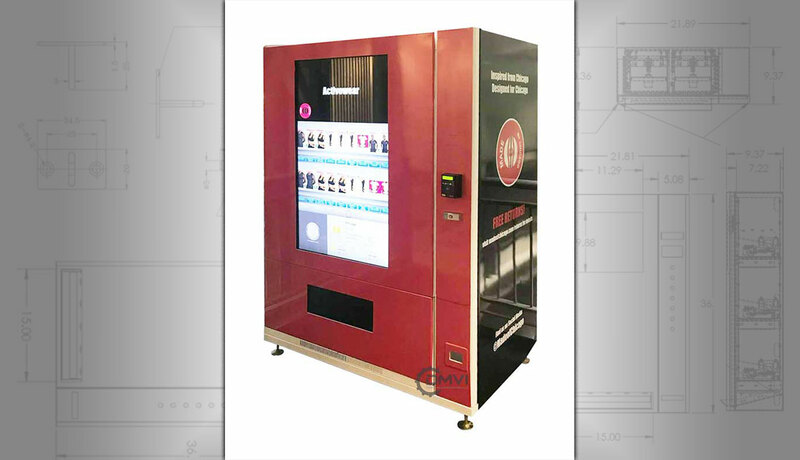 Or maybe you just need a simple custom vending machine that is unique to your product range… Whatever your needs, we can help bring it to life! Talk to us before you buy vending machines that don’t stand out. 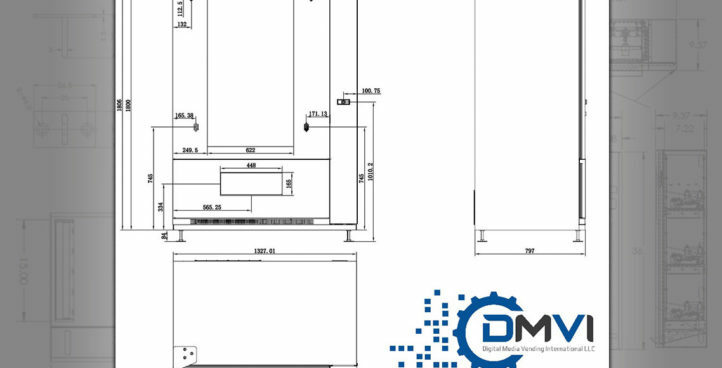 Our experience designing and building a diverse range of custom vending machines and automation projects reflect our capabilities in providing solutions on time and within budget. 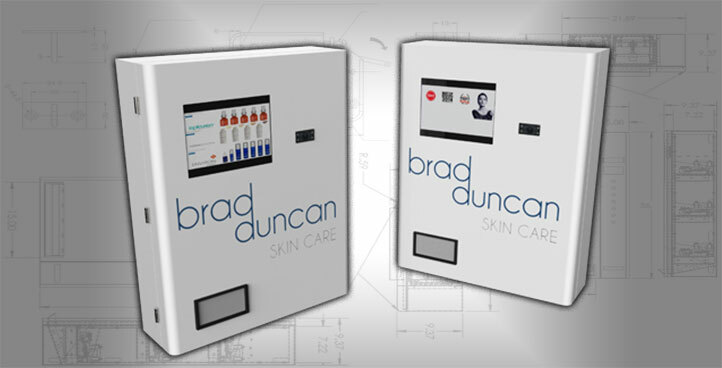 Where space is at a premium, wall mounted vending machines are an ideal solution. Still packed with 21st-century technology but compacted into a small space. A range of large and smaller floor standing machines. Either our signature range modified to suit or customized from the ground up. 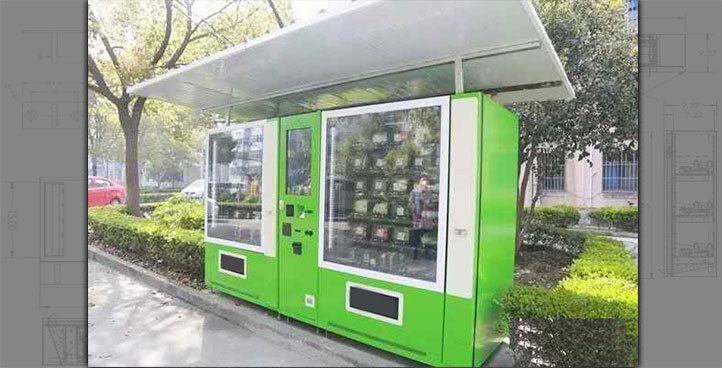 Also known as Mini Store or automated retail unit. These machines make a big impression and can bring a fast return on investment. Virtually completely replacing a staffed and supervised outlet with complete automation and remote management. 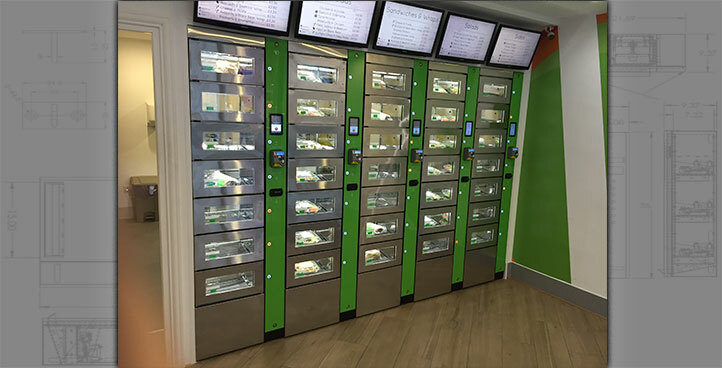 Sometimes automated vending is just not enough. These versatile systems cover all the bases. Convenience for customers and profits for you. Earn revenue from cell phone charging plus revenue from paid advertising. Hot drinks, cold drinks, nutrition, and protein or even just bottled water! A great solution for a vast variety of locations. Bring convenience to the people where they need it most. Taking your ideas from concept thru to reality. It’s what we excel at! 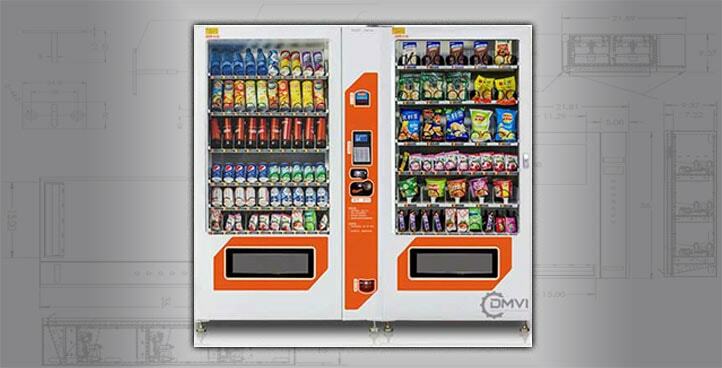 We design and manufacture custom vending machines and automated retail solutions. 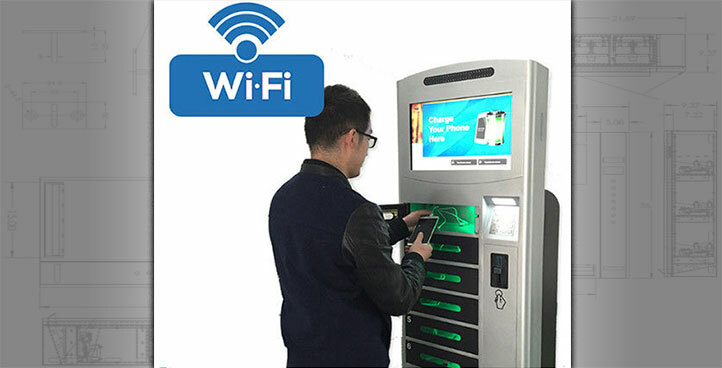 We love to innovate and work with you to develop new concepts and ideas, to bring vending machine technology into the 21st century. Whether you are an entrepreneurial start-up, an experienced operator or a household brand we’ll give you something that’ll set you ahead of the pack. Copyright © Digital Media Vending International, LLC. All rights reserved.